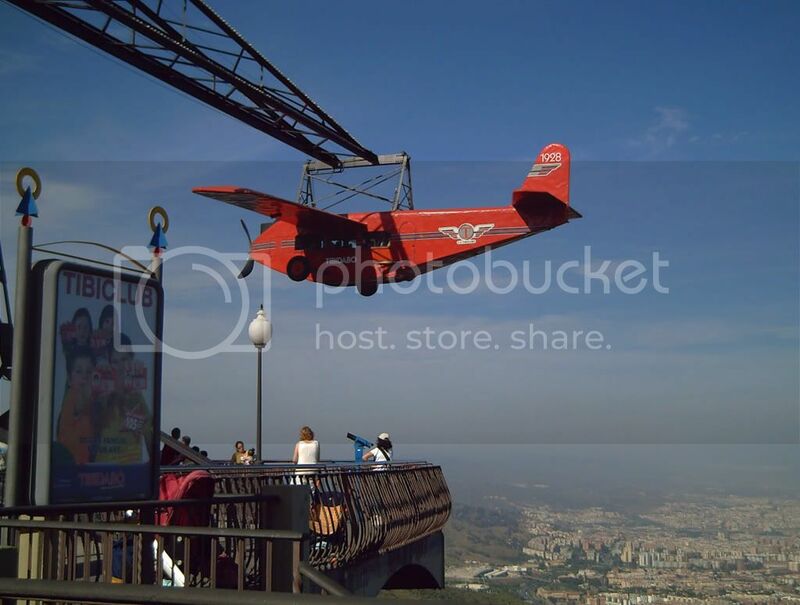 Now that we are in Tibidabo (check last post) let's take a look at one of the most traditional attractions, the airplane. Located over the cafeteria, it goes round and round monotonously since 1928, stopping at night of course. One of the most boring of them all and yet surrounded by a halo of classic style, like a collector's toy. 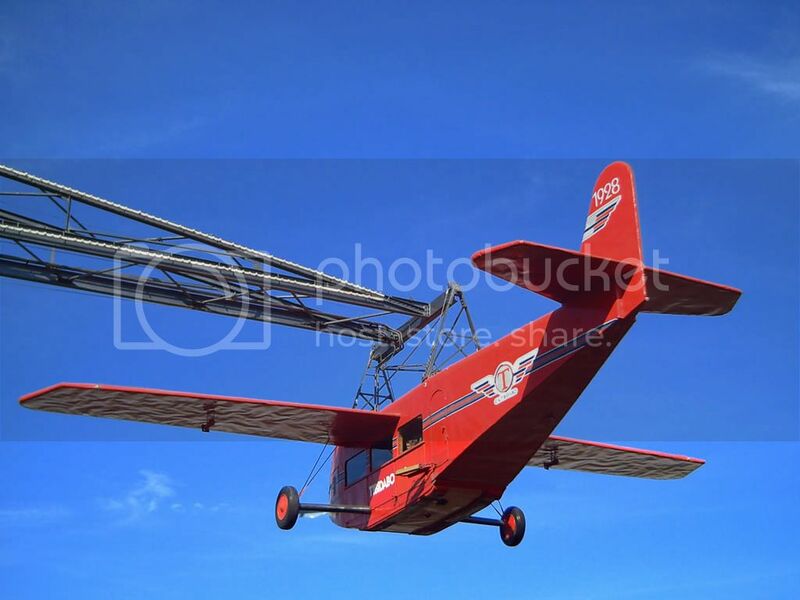 Here is a closer Tibidabo plane photograph against the sky. I thought a slight view of the balcony projecting over the city would make a better shot than just plain sky. I like this perspective more. How height is this place from the ground? I like it better as well. Do people sit in the airplane as it goes around and around? -~tanty~, what do you mean the mountain or the plane? The mountain is not that high. 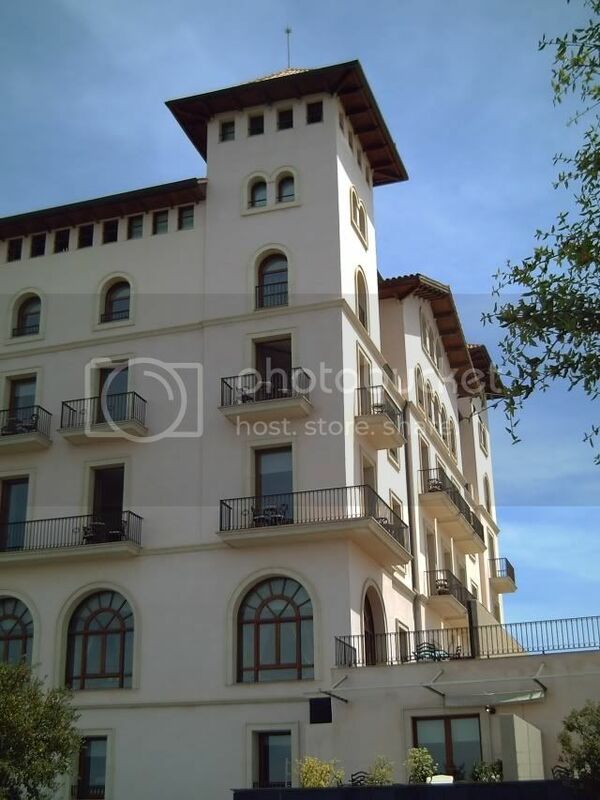 I remember a post, I think it was about Collserola tower where I talked about altitude. -Yep luggi, the answer is yes. Can you believe that? Así es, tu perspectiva esta algo mejor, le diste una atractiva profundidad de campo con la vista panorámica de Barcelona.